Despite a decade of double-digit growth, HomeEquity Bank has zero meaningful competition. Remember these guys (Seniors Money)? They lasted only a year. But times are about to change. This morning a new horseman rode into town: Equitable Bank. The country’s #1 alternative lender has announced the “PATH Home Plan.” PATH is basically a reverse mortgage with the same reverse mortgage rates as CHIP, the leading product in the space from HomeEquity Bank. Equitable sells regular mortgages too, and counts reverse mortgage volume towards its brokers’ status. Equitable is confident it can instead leverage its existing broker relationships to drive volume and eat into HomeEquity’s pie. And that pie is growing. Canada’s reverse mortgage market is far bigger than the annual originations we see today. In terms of staying power, Equitable is no Seniors Money (the now defunct reverse mortgage vendor that ran out of funding in Canada). Equitable funds its PATH product through a stable stream of deposit. Barring the improbable, it won’t be in this business for the short term. The question is, how much of HomeEquity’s lunch will Equitable eat? PATH’s lower fees are a material edge for cost-conscious seniors, but HomeEquity can match those fees if needed. HomeEquity also has a real edge in loan-to-value, brand recognition among seniors and compensation for high-volume brokers. So it’s not going to be easy for Equitable. But that matters less than one might think as Equitable will undoubtedly tweak its offering over time. Moreover, competition ultimately creates benefits for consumers. 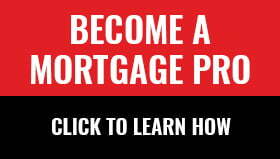 And reverse mortgage competition is now here….at long last.